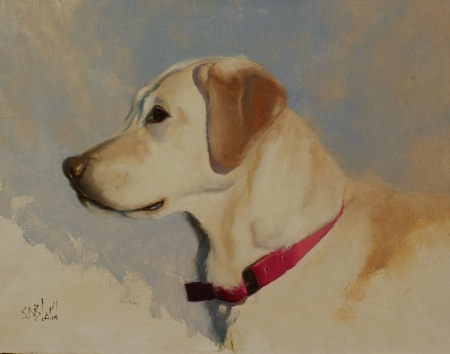 A portrait sketch of Cheyenne, done from the customer's own photos. 11x14, Oil on linen panel. Copyright ©2018 Portraits by Simon Bland.